We pride ourselves on ensuring that your journey to a new home is as simple as possible and we do everything we can to make sure you’re looked after along the way. We’re committed to delivering exceptional customer service and we even offer a 10 year warranty on your new home – to provide additional peace of mind when you purchase from us. We understand that looking for, buying and moving into a new home can be one of the more time consuming things to do in life. But we don’t think it has to be that way – we believe it should be exciting and enjoyable. 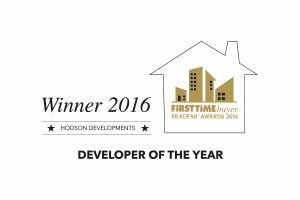 At Hodson Developments we make sure buying a new home is as straight forward as possible. When you purchase a new home from Hodson Developments, you will receive a 10 year insurance backed warranty for complete piece of mind. You can also buy in total confidence that your new home has been constructed to very highest of standards. The whole Hodson Developments team is working to achieve one common goal; to ensure that you are very satisfied and happy with your new Hodson Developments home, from the moment that you make your reservation, to the day you move in and beyond. We believe passionately in putting the Customer first. To put it simply, the Consumer Code is the rule book to which Hodson Developments has signed up, along with other major Housebuilders, to follow and adhere in regards to marketing, selling and aftersales care. We want to be the best housebuilder in the industry and we only get better because of you. Our customers are our best advertisement so please read what some of our customers have to say about the design and quality of our homes.